← Is the Troika About to Lose Control of South-Western Europe? How in the name of God have we reached a point where the fate of the developed world apparently hangs on a lousy .25 of one percent PER ANNUM? What sound or even dubious business plan is a go or no- go depending on its financing going up by a quarter of a percent? And as I commented here and in Canada’s Globe and Mail, even Ben Bernanke has broken protocol and publicly advised Janet Yellen against an increase, citing ‘outside threats’, presumably the vulnerability of the BRICS. Given all this pressure, wouldn’t it be funny if Yellen channels Margaret Thatcher and raises by half a percent. Well it would be funny for a while. Benny (of The Courage to Print fame) Bernanke is playing his part, as requested. Rates WILL NOT GO UP, but he has to act like they will. Anyone notice what happened to the Fed hawks? This is Just part of the theater. Zero rates (as I have commented here in the past) DESTROYS capital. This isn’t exactly insightful. It isn’t like no one figured this out before ZIRP. So, one has to conclude that the monetary masters don’t really care about capital, but instead have other goals. Adjust your decision calculus accordingly. Feel lucky. They only know how to cut. Sadly, we all live in the real world, but they live in the movie and the theater is good. Let’s talk about something else, it is both more productive and applicable. Cooter is right. No one in the MSM would dare to mention that that very banks which own the Fed are getting money virtually interest-free with which to scarf up the world’s resources at rock-bottom prices (this was revealed in the Senate report, but all but unreported), so why would they ever stop? And as it offers the excuse for not paying savers anything while still getting to charge them double-digit rates on their credit cards, a virtual- well, no, literal, trifecta. The very nature of money has been hidden (even from economists, hence 2008). All banks create money out of nothing, private and Central Banks. This appeared quietly on the BoE web-site last year. The underlying problem is that the global monetary system has failed with too much debt in existence. Compound interest is an exponential function that, without prudent lending, will run away to infinity at some point. When money creation lies with banks, there is always the over-whelming desire to increase profits by lending out more than would be prudent (their profit comes from the interest received). The temptation of jam today, makes borrowers forget about the penury tomorrow. The temptation to increase profits though increasing interest payments and debt was too much and they developed ways to take no responsibility for repayment of loans through things like securitisation and complex financial instruments. In the sub-prime fiasco we saw NINA (no income, no asset) loans as no one cared if the money got paid back. Individual players can post profits and collect bonuses by issuing bad debt but their actions together will bring down the debt based monetary system as the compound interest repayments overwhelm the system. For the last seven years we have seen rock bottom interest rates, the last ditch attempt to keep the compound interest mounting up under control. For all intents and purposes the global monetary system has failed already, the FED rate rise will show us once and for all if we really have maxed. out on debt and cannot take even a 0.25% rate increase. Maybe the day draws near, or maybe it is a mirage. I am numb. But still I claw to the top of the job-skill-heap, hoping for a wage in the end when the heap is mostly liquidated. I don’t have a choice. In a deflationary world of chronic over-supply we need to increase demand. Bankers and landlords are parasites that should be taxed for Government spending, earned wealth should be kept. Bankers create the money out of nothing in the first place, there is not going to be a lot of earned wealth there with 80% of it going into real estate, asset price inflation. Income tax only started one hundred years ago on a permanent basis, before that the parasites were taxed. In fact, all rentier activity is detrimental to the productive parts of the economy, siphoning off prospective purchasing power to those that like to sit on their behinds. If we were still able to recognise the difference between earned and unearned wealth we might realise that encouraging rising prices of stuff that exists already is not very productive, e.g. housing booms. We need to re-learn the distinction between earned wealth and unearned wealth. The productive side of the economy and the unproductive, rentier side. 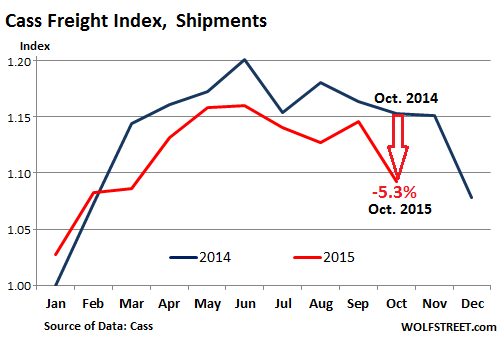 US and global freight indexes are down for some pretty straight-forward reasons. The masses are struggling to stay afloat, and they’re tightening up on discretionary spending. Businesses see this, and they’re cutting back on production. ZIRP, QE and NIRP are wealth redistribution schemes that add to the 0.1%, and subtract from the 99%. I would place the starting points of this inequality at the NAFTA ‘free trade agreement’, and the November 1999 signing of The GLB-Act by Bill Clinton. These were both engineered by the two party status quo, the Fortune 500 cartel and the Banksters – all in lock step. President Obama has followed up by appointing the man who rewrote The GLB-Act for Clinton after he vetoed the initial Bill in May of ’99, Neal Wolin, to be Deputy Secretary of the Treasury right after he took power in 2009. That’s right, our Democratic “Hope and Change” President rewarded the man wrote the law that let Wall Street go on a Ponzi-scheme binge and destroy our economy by making him Geithner’s right hand man! Now Obama has added the TPP and TTIP to continue the pendulum swinging to more wealth inequality. I started to read all the articles from wolfstreet.com daily after finding no information on how slow the freight has been moving and why. Aside from the low levels of freight, the low price of diesel has dropped spot rates probably over 20%. We’re currently based in NJ and figured with the mega ships bringing more freight to the East Coast we should have a better year in 2016 then 2015. But if no one is buying any merchandise, all this hype of the mega ships is sinking quick (no pun intended). 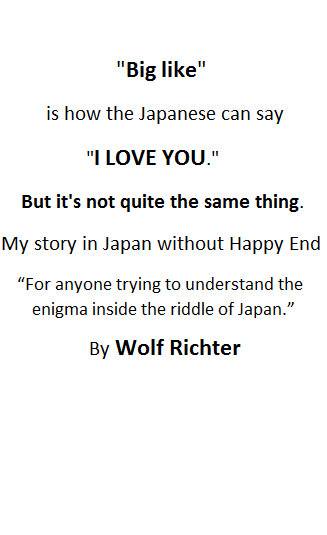 None of this is a suprise to those who have been lurking around this blog site since Mr Richter kindly spells it out in plain english and simple graphs. The 1% has raped the 99% by the tools of financialization. The backlash should be very interesting. Expect it to get worse. Winter is nearly here and it will all be blamed on the weather. If there’s one thing central planners, world-improvers and government-trusters fear, ridicule and HATE it’s anecdotal evidence which contradicts their government data. Macys borrowed to buyback their stock and pump up their earnings but neglected to stock their stores. The Macys closest to me is so small it shouldn’t even exist. They only carry the cheapest merchandise in every catergory. I went there a couple of times to spend money and came home practically empty handed. They need to consolidate at the very least. I remember that when I was young every department store carried exclusive lines of merchandise. Every store was different. In order for retail to survive they will have to move back to that model. Just back from France. Lots of small shoe stores, all with cute shoes. Every shop carried a different line of shoes and bags. Indeed Wolf. And there’s a war afoot among them that’s decimating the field. In a few years there will probably be only four or five chains left at national level. Food prices are usually very good (except curiously for fresh fruit: you’d be better off in a traditional greengrocer’s or market stall) and the quality above average, as all of them carry a large selection of local and organic products. However in other respects Leclerc, U, Intermarché etc are the Walmart of Europe: they keep the factory doors in China open! I’ve been a freight agent ( flatbed & specialize) for 21 years. I’ve never seen it this slow this time of year. For 8 months every day is a little worse than the day before. Rates are down 30 to 40 percent. When I tell a driver what a load pays the comment is something like “your kidding me right”? There are just way too many trucks for the economy we have. 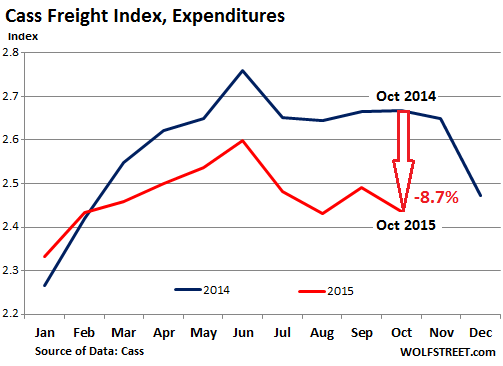 The next 3 or 4 months will shake out a lot of marginal or debt laden carriers. We are not yet at 2008 volume but it seems headed there rapidly. Today I did a truck and load search on Internet Truckstop within a 100 miles of Ft. Wort. There were 250 tucks and 150 loads. About 50 of those loads were duplicate postings. So really 100 loads. Normally there are about 3 times the loads as trucks. I would hate to be a banker that financed trucks. I appreciate your trucking articles. We have been feeling the pain nearly all year. Validation I guess. Oddly enough I’m having a pretty good month. Sitting here in upstate New York out of my 70 hrs. But I see signs of the slow down everywhere, the truckstops are jammed even in the morning, our freight has taken a slightly perverse tack, I pulled an honest to goodness hazmat load out of St. Louis (first time I’ve been on Hall St. In years) to Virginia. Been spending a lot more time on the East Coast than usual, etc. None of this bodes well. I expect January and maybe February to be in the tank. It is a fact that two-thirds of the estimated $17.4 trillion GDP of the United States is based on unbridled consumption. That is a whopping $11.6 trillion. If it is true that the “year-over-year, shipments dropped 5.3% to hit the worst level for October since 2011” and “Spending by domestic customers remained tepid, especially in key apparel and accessory categories,” while 45 million Americans are surviving on food stamps and 95 million are out of the market, then the macro-economic game is almost over. The FED has cried ‘wolf’ ( no pun intended) for 7 years and whether it raises rates or not in December is inconsequential. The dice has been cast. US consumption is swooning. Is the FED, a federal agency? No.